Narrow-scale microbiological fertilizer refers to the increase of the activity and supply of plant nutrient elements through the life activities of microorganisms, thereby increasing the yield, that is, the microbiological agent containing the characteristics of fertilizers. Although these products do not have nutrients, they have the function of fertilizers. Generalized microbial fertilizers: The microbial fertilizers have little or no nutrient supply function, but they have other effects, such as stimulating plant growth or antagonizing pathogenic effects of certain pathogenic microorganisms, degrading harmful pollutants, etc. It should be called “microbial preparation” instead of fertilizer, but now it is collectively referred to as microbial fertilizer and it is registered and registered with the Ministry of Agriculture. Bacterial fertilizers: nitrogen-fixing bacteria, phosphorus-solubilizing bacteria, and potassium-releasing bacteria. Fungal fertilizer: This type of fertilizer includes two types of ectomycorrhizal fungi and endophytic mycorrhizal fungi, such as arbuscular mycorrhizal fungi, mycorrhizal fungi,orchid mycorrhizal fungi and Trichoderma spp. Phosphorus-solubilizing microbial fertilizers, potassium-releasing microbial fertilizers, and organic matter-decomposing microbial fertilizers, such as legume inoculants and soil phosphorus activators. Microbial fertilizers of the same type can also be fertilizers of different microbial species, such as phosphorus-solubilizing bacteria, which can be either bacterial fertilizers or fungal fertilizers because the same microorganism has different functions, or different microorganisms have the same function. Divided into a single microbial or composite microbial fertilizer. Single microbial fertilizer: It contains only one kind of microbial fertilizer. At present, the Ministry of Agriculture has registered a total of microbial fertilizer products: 9 fungi species: rhizobia, nitrogen-fixing bacteria, phosphorus-solubilizing bacteria, silicate bacteria, mycorrhizal fungi, photosynthetic fungicides, organic material decomposing agents, Compound inoculants and soil repair bacteria. Two bacterial fertilizer categories: compound biological fertilizers and bio-organic fertilizers. In the dosage form is divided into liquid and solid, solids are divided into powder and granules. The increase rate of various types of microbial fertilizers was about 10%, of which the most significant was the increase in production of composite microbial fertilizers, which was more than 20%. Studies have shown that the application of microbial fertilizers alone without organic fertilizers or chemical fertilizers has a significant effect on potato yield, but microbial fertilizers only play a supporting role in crop yield increase and cannot be used alone instead of organic fertilizers and chemical fertilizers. It is an indisputable fact that microbial fertilizers can improve crop quality. Some microbial fertilizers can still improve the quality of crops even if they do not have a significant increase in production. The application of microbial fertilizers can significantly increase the sugar content and vitamin C content of vegetables while reducing the nitrate content of vegetables.The effect of microbial fertilizers on the quality of fruit is also obvious. The experimental results of Zhang Weiwei et al. in 2013 showed that microbial fertilizers have a stable control effect on field cotton wilt disease and eggplant verticillium wilt disease, and the disease index declined. 38.2 and 23.5. Microbiological fertilizers for tobacco can reduce tobacco virus disease, promote tobacco growth, and reduce miscellaneous gas and irritation. Microbial fertilizers can effectively reduce the pesticide damage to herbicides from the soil. 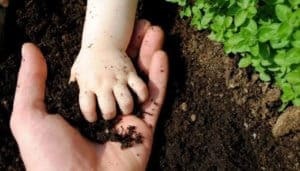 The long-term use of microbial fertilizers can restore the formation of soil aggregates, and play a role in loosening the soil, eliminating soil compaction, and improving soil structure. According to reports, soil phosphorus weight loss decreased by 0.1 to 0.3 in soil applied to the black soil of northern China for three consecutive years. The loose soil effect is very significant. Some studies have also shown that after the application of microbial fertilizer, due to the proliferation of microorganisms, the release of organic matter in the soil is promoted, the physical and chemical properties of the soil are improved, the soil aggregates are increased, and the soil structure is improved. At present, China has not yet formed a system of agricultural fertilization, promotion and supervision that is conducive to the application of microbial fertilizers. Soybean rhizobial inoculation in developed countries has become routine farming practices, while the soy bean rhizobium inoculation rate in Northeast China is less than 10%. The application amount of chemical fertilizers in field crops such as corn and rice is excessive, microbial fertilizers and organic fertilizers are rarely used, short-term behavior is widespread, and promotion efforts and policy support are obviously insufficient. At the same time, the microbial fertilizer market is mixed, and the state has not yet established a complete regulatory system and product standard for the quality supervision of such fertilizers. Microbial fertilizers are ecologically adaptable. When applying, specific application methods and application amounts should be determined based on the local ecological conditions, crop varieties, soil types, and farming methods, and targeted strains should be screened for highly adaptive functional strains in order to achieve better results. Effect. However, the vast majority of microbial fertilizer companies still use relatively backward cultivar breeding techniques, such as separation screening and traditional breeding. This results in poor geographical targeting and poor adaptability of microbial fertilizers. Individual companies may even fail to purify and rejuvenate. , resulting in decreased purity of the bacteria, decreased activity, unstable field effects, or rapid decline. The application effect of microbial fertilizers is affected by many factors. In addition to the inherent factors such as the type, content and purity of the active bacteria of the fertilizer, the environmental conditions are also important factors affecting the effectiveness of the fertilizer, such as substrate concentration, temperature, humidity, soil pH, etc. The effect of using many microbial fertilizers is much different from the expected one, and there are great differences between plots and years.